Wish Jumper Agnes Knott at Wish Jump 2014. Wish Jump 2015, the fifth annual skydiving fundraiser for Make-A-Wish Northeast New York is preparing for take off! Last year was a record year, raising the most money since Wish Jump began in 2011 – $42,000! Money raised from this event is used by Make-A-Wish NENY to grant wishes to kids and teens with life-threatening medical conditions who live in the 518 area code. Since the Wish Jump fundraiser began in 2011, over $108,000 has been raised. 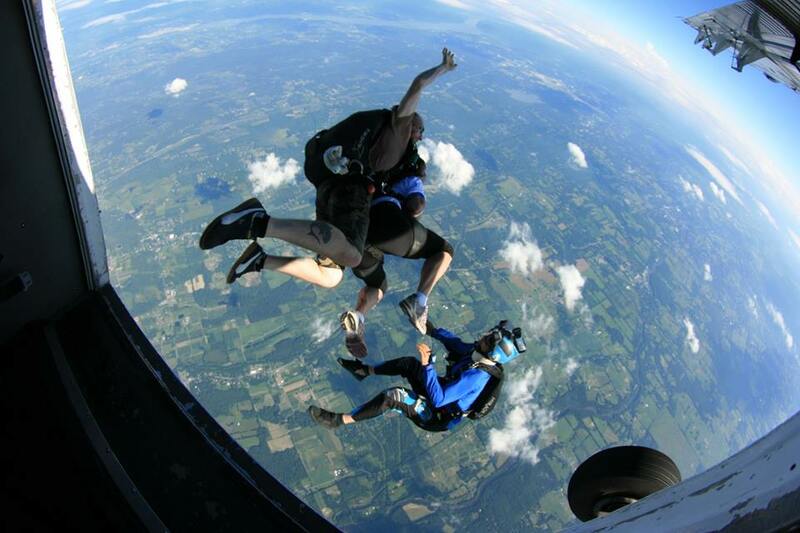 Wish Jump 2015 will take place on Saturday, July 25, 2015 at Skydive the Ranch in Gardiner, New York. Last year was our first time at The Ranch, and it was an incredible day. 25 Wish Jumpers completed their jumps smoothly from an altitude of 13,000 feet in about three hours! We can’t thank them enough for accommodating us, and we can’t wait to return. This year we are planning to have about 40 Wish Jumpers, the biggest group in Wish Jump history. There are still spots available! If you are interested in raising money for Make-A-Wish Northeast New York, and skydiving with us in July, please email Mary Kenney at wishjump@gmail.com for details. Stay tuned for details about Wish Jump 2015, including this years team of Wish Jumpers, including Bill Trigg, CEO of Make-A-Wish Northeast New York, who will be skydiving with us again this year – his fifth skydive! Like us on Facebook and follow us on Twitter @WishJump2015 for more news and updates.